Got the rattle can polyurethane today, and started painting. The painting was a bit more difficult than the etch primer, but the result was excellent (keeping a blind eye to the poor paint job by the painter). I tried it first on a piece that I had primed with the Acid #8 etch primer and also the "3 in 1" (polyester thing). Acid #8 + PU works just great, but the "3 in 1" and PU does not. The PU dissolves the 3 in 1 leaving a "sludge" underneath the hardening PU. I will see tomorrow if it cures overnight. The PU rattle cans is a rather strange stuff. 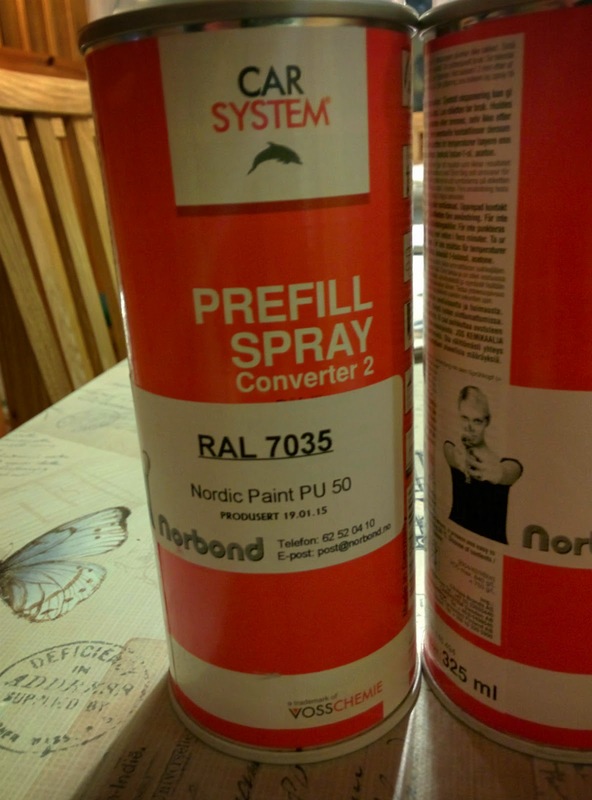 The PU itself comes from Nordic Paint. This is mixed into a pre-mixed rattle can "curing soup" from Voss Chemie. This mixing also involves coloring. This mixing and shipping is done by Nordbond, and the cans are shipped the same day. The cans must be used within a month. The colors are RAL colors. I ordered RAL 7035 (light gray) with a satin finish (gloss 50, whatever that is supposed to mean, I thing "full gloss" is 95 or something). With this system, you get the easy of use and practicality of rattle can + the "industrial strength" and finish of PU, and it works great. I'm really satisfied with this one (even though my painting skills could be better). 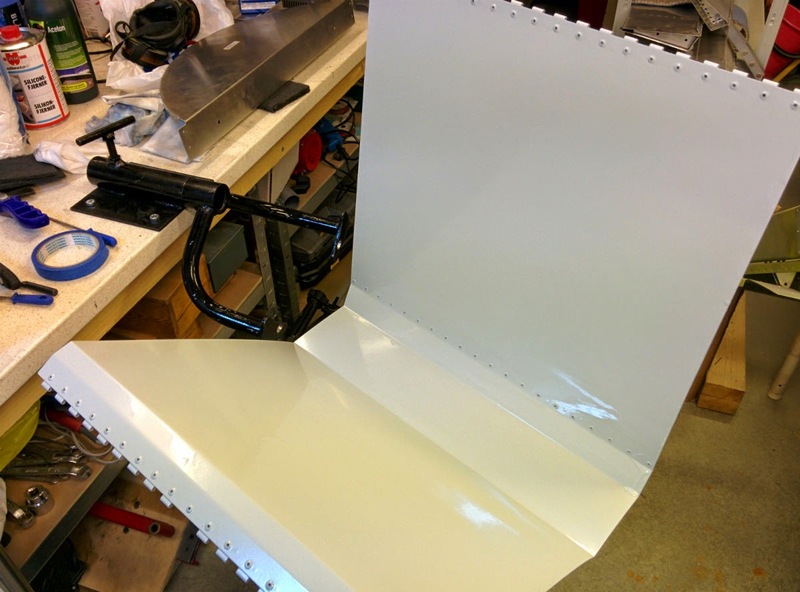 I painted the seat, and the visible part of the main spar. I also found out another thing while testing how different paint holds up against chemicals. The ordinary household "Quick spray" is remarkable. It is a 1K "alkyd" enamel paint available in rattle cans as "Quick Spray" and in tin cans as "Bengalack". It has been around as long as I can remember, probably much longer. Let it cure for a couple of weeks, and it holds up against everything (gasoline, acetone, ethanol, thinners). The same goes for the transparent Quick Spray. It sticks to everything too. It doesn't become as hard as PU though, but a thin layer of primer + a top coat of semi gloss Quick transparent looks great, and will last for ages. This is probably why it has been around for so long.